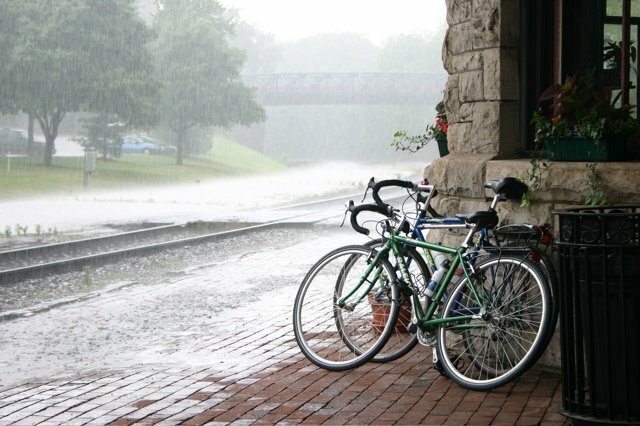 What's the best route from Kirkwood Amtrak Station (in St Louis County) to the Katy Trail? To cross the Missouri River, your best bet is to use the Page/364 bridge. There's also a crossing at highway 64/40, but not as clear of a route from there to Kirkwood. Here is Google Maps' suggested route, although my preference is this route which uses more residential roads. If you opt for a shuttle instead, you might want to try Show Me Tours Shuttle. I'm guessing that Kirkwood-to-St Charles is in the neighborhood of a 20-mile ride (this is just my "gut feeling" estimate, so expect some variance). Heres a Mapquest link for the Kirkwood Train Station, which is located at 110 West Argonne, at the corner of Argonne and Kirkwood Road. Heres a link to a map of the Page crossing, from the Missouri Dept of Transportation. The first suggestion was taken from the American Discovery Trails official route (http://www.discoverytrail.org/states/missouri/mo_points1.html), so presumably it has been well tested. Adams through Sugar Creek Valley (turns into Ballas after 2 miles, and curves north) Continue on Ballas across Dougherty Ferry (at 2.4 miles), across Manchester (at 3.8 miles), to Ladue Rd (at 7.4 miles). Turn left/west on Ladue Rd. Left/north on Bennington, 0.5 mile to Basston Dr.
Use the Creve Coeur Park trails: get on Bike/Walking trail and follow around the north side of lake and then follow south along the west side of the lake. Skirt right around the west side of ball fields - follow the trail straight and this will lead you to the connector to the bike path over the Page Extension Bridge. One suggested revision to the above directions: The train station is on Argonne Road, between Kirkwood Road on the east and Clay Ave on the west. It would be better to take Clay north to Adams, rather than Kirkwood Road, because Kirkwood Road is very busy and has no good shoulder or bike lane. Clay and other streets to the west are residential and have much lighter traffic. Note: the Olive/270 construction mentioned below is finally completed, and they even included a striped bike lane for part of that section of Olive. No way I'd be on Lindbergh. I'd head west on Adams to where it turns into Ballas, then north on Ballas 'til it ends at Olive. Once at Olive, when they finish the lovely construction at Olive & 270, head west on Olive to Ross Rd and turn right. This will take you all the way to Bennington, which has an entrance to Page west (this is right near the start/finish for the TT that was held out there during the winter). As an alternative 'til Olive/270 is complete, cross Olive at Ballas. I don't know the name of the street, but it eventually dumps onto Craig, I believe. From there, turn left, and it will get you to Westport, and turn into Marine Drive. After passing under 270 and climbing a short hill, you can hang a left on Bennington and get back to Benngington and Page. Then it's the same as above. I'd vote for Geyer->....->Craig->Westport->Marine-> etc. Ballas til Clayton is OK, but north of Ladue on Ballas there is 2-lane high speed traffic, no wide lane, no shoulder, and a high steep curb. I ride on busy roads regularly, even Lindbergh, but not THAT one. The Geyer route is less hilly too; I'm not a hill fan. Adams west of Geyer is a very scenic ride, but it lets you out on Ballas, which, while quite efficient, is perhaps too heavily traveled for some tastes. A good alternative would be Geyer to Clayton to Spoede to Ladue to Moseley to Olive to Craig. From the Amtrak station, west on Argonne to Clay to either Adams or Essex to Geyer. Craig (which, if you are taking Ballas, can be accessed by simply crossing Olive and following it around behind the Koman office park) will take you to Page, but from there how to actually get on the extension is a bit of a mystery to me. 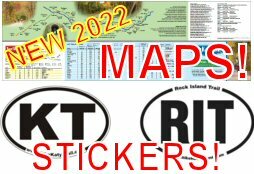 Thanks to Paul for posting this route in the Trail Comment Forum. This route is in the opposite direction of the above routes, from Creve Coeur Park to Kirkwood (again, here's the link if you need details on the Creve Coeur Park Connector Trail and where it connects to the Katy). Straight on Westport Plaza Dr. Except for the long, steep hill on Marine Ave., this turned out to be a pleasant, fairly quiet ride. In addition to the hill, Marine was pretty narrow, twisty, and busy. Much to my surprise, no one honked at us and most vehicles passed in a courteous fashion. However, I would only recommend this route to very experienced riders. Thanks to Wes Ridgeway of St Louis for sharing his route from Grant's Trail in southwest St Louis County to the Katy Trail. If coming from the Kirkwood Amtrak station, you just head a few blocks north to Adams and take a left, and Adams eventually leads to Ballas (after a nice ride through the lovely Sugar Creek area).